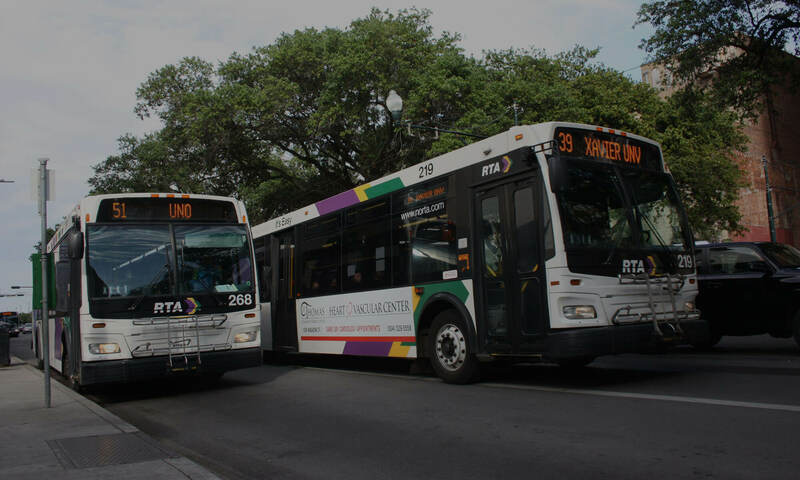 For the past year, Ride has worked closely with a group of dedicated riders, community leaders and bus drivers to research and develop a policy proposal for the RTA to create a standing riders advisory committee. Reforming the RTA’s public engagement process emerged as a top priority of community members at the February 2013 Equity Caucus hosted by the Foundation for Louisiana, the Greater New Orleans Foundation and JP Morgan Chase Community Giving. 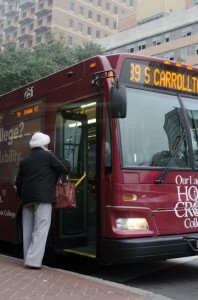 After 10 working group meetings, and 2 in-depth discussions with RTA Board Chair Sal Longoria and Veolia staff members Judith Dangerfield and Stefan Marks, on Tuesday, the Regional Transit Authority’s Board of Commissioners will formally consider the adoption of a standing Riders Advisory Committee at the agency. Join us at the next Board of Commissioners meeting on Tuesday, January 28th to speak out in support of adopting a Riders Advisory Committee at the RTA. *the Board meeting on Jan 28th has been cancelled due to inclement weather. We will announce the date of the rescheduled meeting on our Twitter and Facebook feeds. What is a Rider’s Advisory Committee? In transit agencies across the country, Riders advisory committees go by many names – stakeholders, working groups, public involvement groups, etc., but they are all composed of a representative group of stakeholders that meets regularly to discuss issues of common concern. For the Regional Transit Authority, a riders advisory committee could be involved in planning major service changes, establishing goals and priorities for future transit expansion and more. When projects and plans are not reflective of community priorities, transit agencies may encounter public image issues and be viewed as unresponsive to the people they serve. Distrust builds when riders feel disenfranchised during major transit decisions that will affect their daily lives, and the riding community may then become apathetic, believing they are powerless in their ability to improve the situation. With a Riders Advisory Committee in place, there is a clear venue for riders to voice their concerns, share their ideas, and provide proactive input on major plans and decisions. The committee forms the backbone of a transit agency’s public engagement program, offering many benefits to both the agency and transit riders. Continuity: Agencies and committee members are provided with the opportunity to meet with the same group of people over time. Depth: Issues can be discussed with community members in more depth and detail, which allows for more technical information to be shared and incorporated into the rider input and decision-making process. Education: Stakeholders have the opportunity to hear and learn from differing points of view and can increase the understanding of issues. Collaboration: The formation of relationships over time supports and encourages stakeholders to engage in collaborative problem solving. Community Liaisons: Committee members can act as community liaisons helping to get word out about the transit agency’s plans and projects and collecting feedback for the agency. Plans and Projects Responsive to Community Needs: Transit agencies plans and projects can be designed to better respond to community needs when a riders advisory committee helps to shape those plans and projects. Come out to the RTA Board meeting on Tuesday to help us support this historic vote!